eCaroh Caribbean Emporium (eCaroh.com, established July 1997) is a destination that houses West Indian cultural heritage and highlights and preserves their value for the community and visitors. 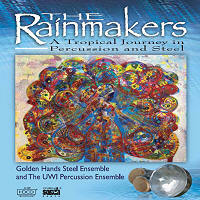 Its website, www.PanOnTheWeb.com, is a one-stop full service resource for the steelpan artform. This Internet entity is a collection of recognized, premium brands, local and international partners. provide training to school age children who can experience a sense of success and achievement. 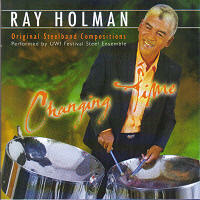 provide a training mechanism for steelpan educators and pannists. The vision was born of observing children in urban Boston schools react to a 1998 “master class” presentation by Trinidad & Tobago’s Panazz Players. Sanch’s “Pan in Education” portfolio is the appropriate, innovative, apparatus to pursue the objectives and reach those who yearn to play pan. It is timely and well crafted. 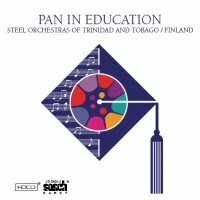 “Pan in Education”, however, is much more than steelpan instruction. The accompanying data files provide a business model for establishing a steelpan literacy program. We at eCaroh are particularly motivated by this feature. The business model brings emphasis to the funding and employment factors that are so critical to sustaining arts and cultural programs. eCaroh believes that Sanch’s strategy is geared to economic development and will contribute to community enhancement anywhere. “Pan in Education” is universal. Indeed, we are ready to apply this tool in the USA. “Pan in Education” is the innovative tool, the asset, that can encourage serious community stakeholders to participate meaningfully where they live and work. The six-track double CD includes an enhanced data disc featuring the music scores, composer profiles, as well as scorer and editor notes. Once upon a long time past, I used to sing, occasionally, in public. I therefore found myself in a pan talk that a steelband could not play quietly enough to accompany an unamplified female voice. The bet was on. I was to be the singer and Esso Tripoli, led by Hugh Borde, was the band. The venue was Queen’s Hall and the show was Carols and Classics on Steel. I had no mike and the band did not drown the voice and so one more small piece of pan history was made. Thereafter I sang no more because it was much more interesting to learn about what the instrument could really do, what it took to make a good player and all the myriad pan questions which have preoccupied my mind (and time) ever since. The first is that the reliance of players upon learning their music by rote means that the material takes far too long to learn and it can all too easily be forgotten. I have had enormous and terrible experiences of this! The literate musician has no such problem. Another concern lies in the fact that while there is a lot of music being generated by pan people themselves, they don’t yet have the means of writing it down – not only to preserve it, but to study it on paper in a critical manner to make those adjustments which only considered review can encourage. This situation is changing but the process is too slow! The third factor is entirely contemporary and it turns upon the computer. Technology has given this generation the means of making music literacy very much more user-friendly than it ever was before. The computer can give the musician all kinds of advantages – including perfect copy –, which the old manuscript paper and pen musicians of the past did not have. This project addresses all these considerations in a single, convenient and attractive package. It records visually both on paper and by means of the computer the music of Mark Loquan and associated lyrics. It also records the music aurally so that players can hear the music even before they learn to play it. The project showcases a number of bands and their arrangers so that a variety of arranging and playing styles can be studied and appreciated. More than that, the package contains invaluable interpretive and performance notes, together with advice to teachers. This could help them enliven their music lessons, and to integrate music into the wider curriculum. 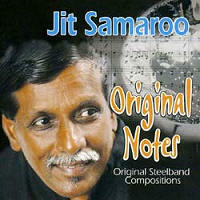 In this regard, the contribution of Sat Sharma to the project must be singled out for special mention. To me, this project takes us light years ahead of those days when we knew so little that we had to go upon the Queen’s Hall Stage with a loud voice, the lightest possible hands and a lot of prayer. Mark Loquan, Simeon Sandiford, Kareem Brown, and all those who have worked on this project deserve our praise and support. Speaking for myself, I am proud to be associated with another small part of pan history.